If you are a manufacturer or distributor who sells B2B and you aren’t yet selling online, chances are you’re thinking of launching your wholesale portal. In fact, it’s probably why you’re here reading this post. It’s 2018 and your customers want the option to place orders online. In fact, when asked how their wholesale buyers prefer to place orders, 79% of respondents to the 2018 Manufacturing & Distribution Sales and Technology Report said their customers preferred to place them online. Given the high bar set by B2B eCommerce, your wholesale customers are already used to exceptional eCommerce experiences, so if you want your B2B buyers to actually use your wholesale portal, it’s not the case that just any portal will do. Here are the top 5 things you need to keep in mind before launching your very own wholesale portal. #1: Your wholesale portal must be easy to use. If you’ve started your B2B eCommerce search, you know that wholesale portals come in many shapes and sizes. Some wholesalers opt to build custom software, others use an add-on to their ERP, and others use SaaS (Software-as-a-Service) software like Handshake. 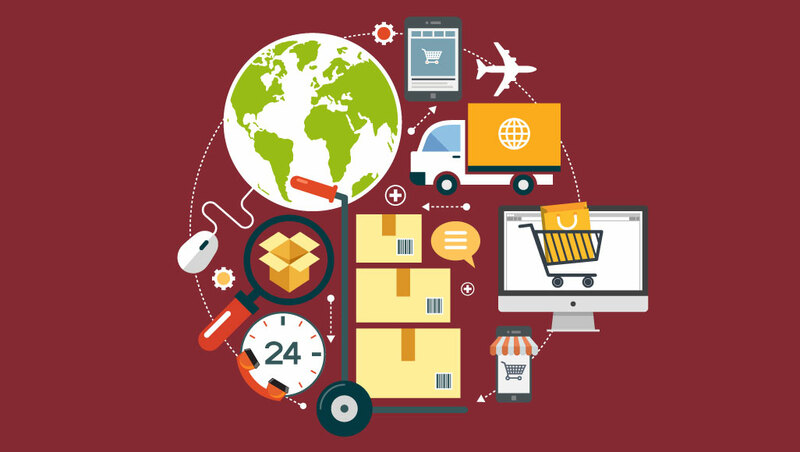 The type of B2C eCommerce software that you choose to power your wholesale portal typically dictates how user-friendly it will be. For example, custom software tends to overly optimize for a company’s selling workflows often at the expense of core B2B eCommerce functionality. It’s also often built by a third-party that doesn’t have any expertise in B2B selling, and that ends up showing with a non-intuitive buyer experience. B2B eCommerce portals that are extensions of your ERP are also not easy to figure out, given an ERP vendor doesn’t have experience creating software that people have to opt-in to using. Instead, they build complex, cumbersome and outdated feeling wholesale portals that internal staff are forced to use. SaaS B2B eCommerce solutions, on the other hand, are built based on thousands of data points from real manufacturers and distributors selling wholesale. It means their wholesale portals tend to be the easiest for your customers to use, and the most representative of the B2B buying experience your customers are expecting. #2: Your wholesale portal must work (well!) on mobile. Your B2B customers do a lot on that device in their pocket, and it turns out they want the option to place orders from you from their phone or tablet, as well. Wholesale portals that have the option to place orders from mobile—and specifically, from an app and not just a website optimized for a mobile browser—are more likely to be used by your customers. Think about it. You’ll be sending your B2B customers emails announcing new products, your seasonal lines, and sales and promos. If your customers open that email on their phone and can’t immediately be directed to your wholesale portal to buy, you might lose the sale. #3: Your wholesale portal must accommodate the way you sell B2B. Too many manufacturers and distributors launch a half-baked wholesale portal that has a rudimentary (or simply a B2C-optimized) buyer interface. If your wholesale portal can’t accommodate customer-specific pricing and promotions, high-volume buying of multiple variants, past order duplication, and inventory display, your customer service team will have to chase down the final order over email and phone. This defeats the entire purpose of automating your ordering process by moving it online. The other problem with a wholesale portal that doesn’t reflect the way you are selling to your wholesale customers is that your customers will not want to use it, and instead place orders through your sales reps. This is a form of channel conflict, and will make it difficult for you to identify whether your wholesale portal was worth the investment. #4: Your wholesale portal must be marketed to your customers. In order for your B2B customers to place orders from your wholesale portal, they have to first know about it. While this may seem obvious, given the lack of marketing expertise in many manufacturing and distribution companies that are selling wholesale, it’s often the case that there isn’t enough coordination and marketing planning behind the launch of online ordering. You should be marketing your wholesale portal well in advance of your go-live date, so by that point, your customers are excited and aware of how to place orders online. If you want some help with marketing your wholesale portal, including email copy you can use in your campaigns, download our B2B eCommerce Adoption Guide here. #5: Your wholesale portal must be supported by your sales reps. This is one secret to success that can not be overlooked. In fact, manufacturers and distributors who don’t keep their sales reps in mind always regret it. You have to align your sales team with your B2B eCommerce strategy for two reasons. One. If you do not, they may try and sabotage your portal, asking your customers instead to order through them. Two. Their support can result in better usage of your wholesale portal, and that, in turn, translates to real dollars. If you’re not sure how to involve your reps on a tactical level, here are a few tips that will lead to the most successful implementation of your wholesale portal. First, you must commission your sales reps on all orders that have been placed by their customers, even if they were placed online. You should also involve your sales reps early on when you are first vetting wholesale portals, because they are most likely to know what your customers will want to use. Lastly, make sure that your reps can train customers on using your portal and are able to answer questions as they arise. Setting Up Your Wholesale Portal: What’s Next? At Handshake, we’ve set up thousands of businesses with wholesale portals. If you want help setting up your very own wholesale portal, request a call with a Handshake specialist today.